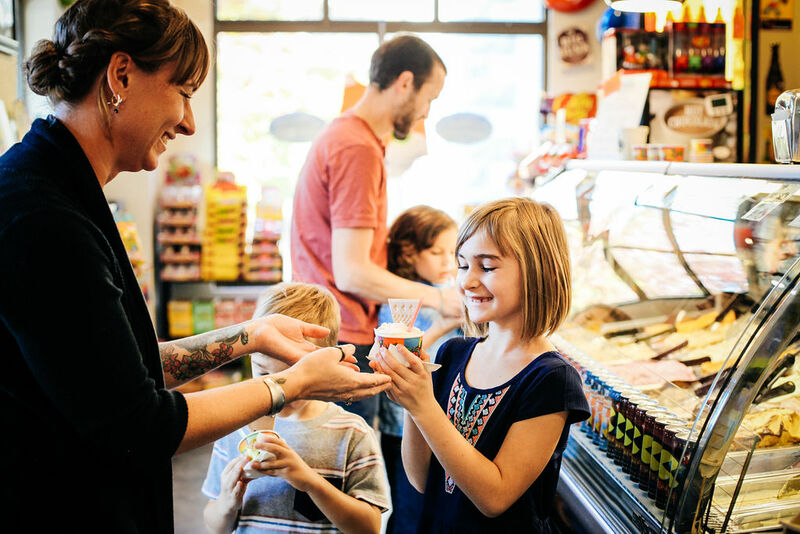 … to stop in and taste the best gelato ice cream around! 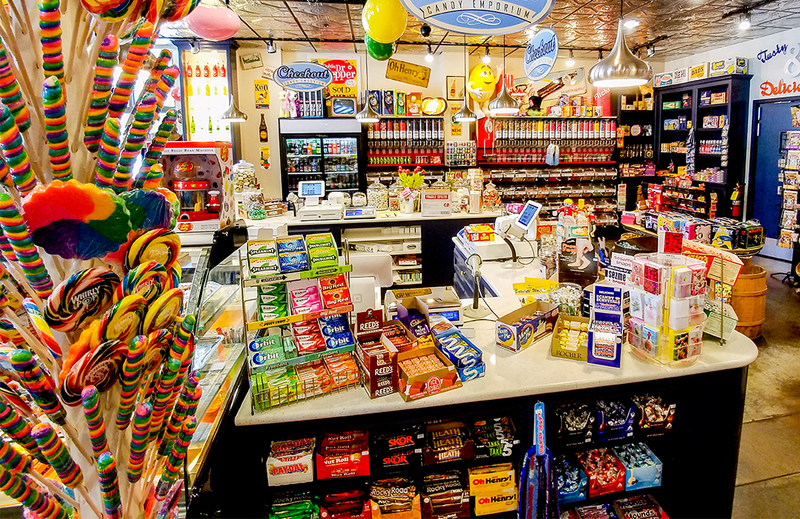 Check out our epic selection of nostalgic candy, handcrafted chocolates, glass bottled sodas, perfect gifts for any occasion, unforgettable treasures, and so much more! What are you looking for? Old-fashioned candy and licorice? 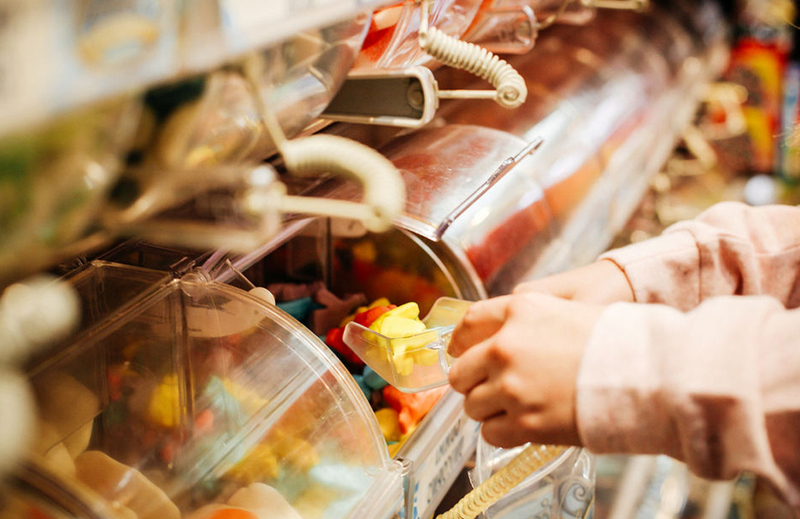 Imported candies or quirky gifts that make you chuckle? 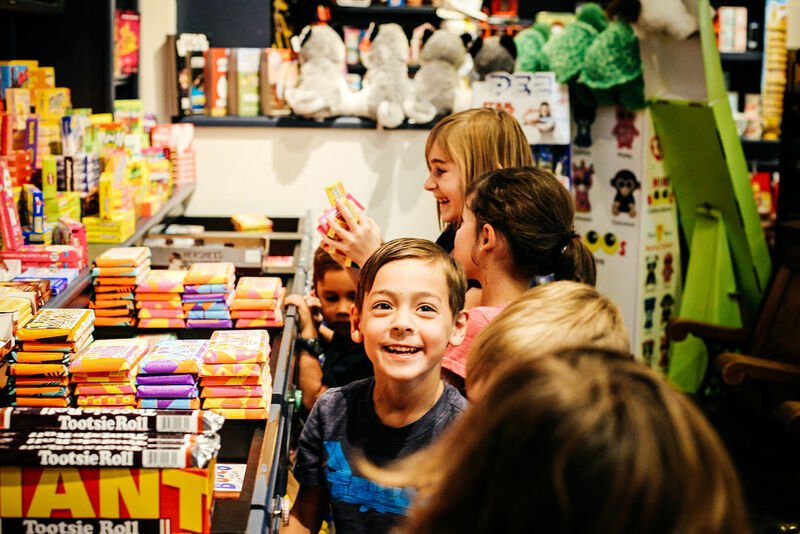 We work really hard to bring in fun and exciting candies and novelties from all over the world to create a new adventure every time you walk into our store! 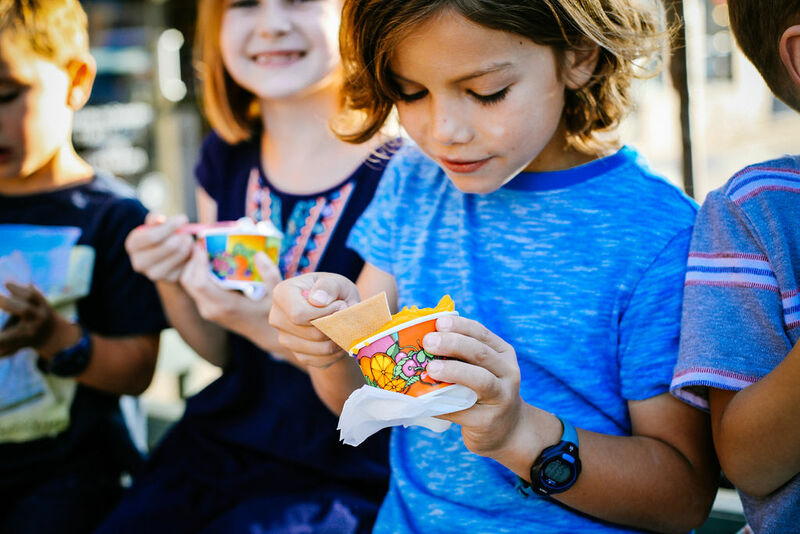 Share a treat with our rich, creamy gelato or our fresh-made cotton candy. No matter what you do, you’ll have something to smile about! 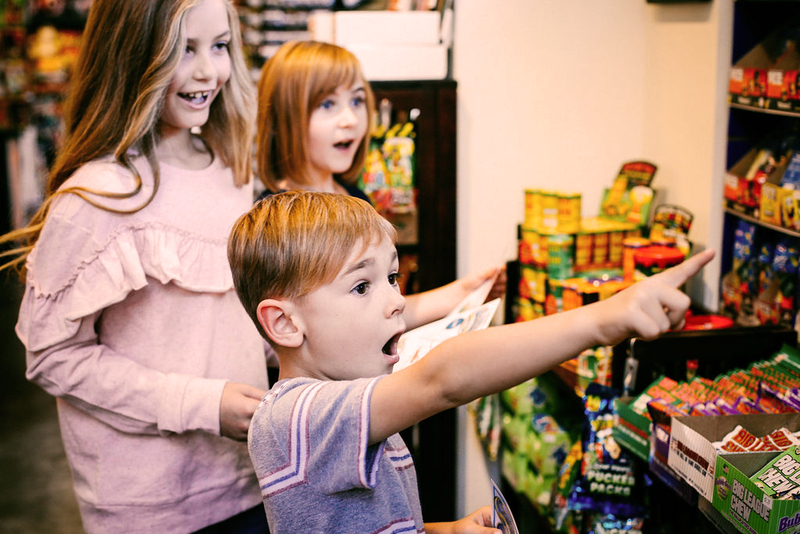 Kids and adults alike love exploring our store and finding their favorite things. We are chocolatiers and candy experts. 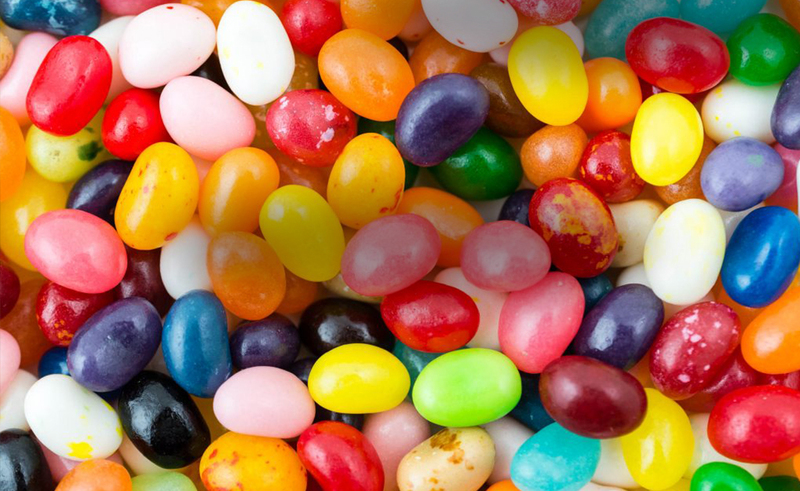 You’ll find candy of all sorts and sizes. 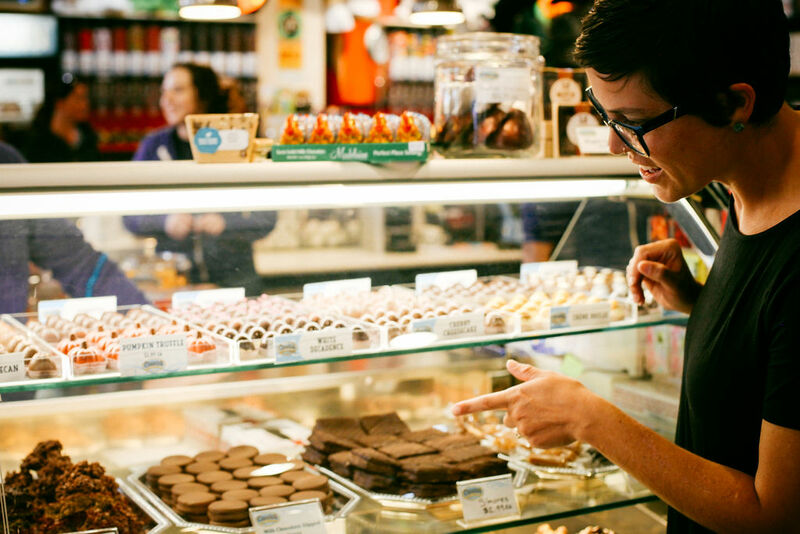 From scoopable treats to candy bars, come in and find what you’ve been looking for! See what you will find! It’s time to bring the family together! Come in for family night, date night, an outing with friends and relatives; there’s so much fun to discover. 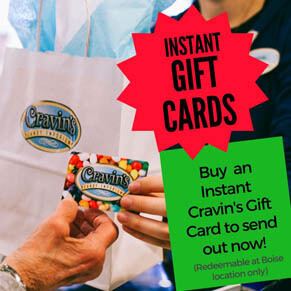 Cravin’s is your boutique gift store. 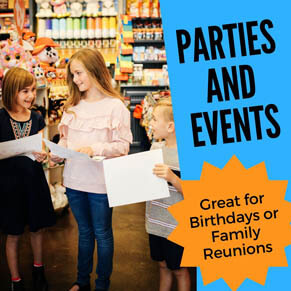 We have a great selection of toys and gifts, unique finds and birthday cards. And much, much, much, much more! Learn more about our gifts! 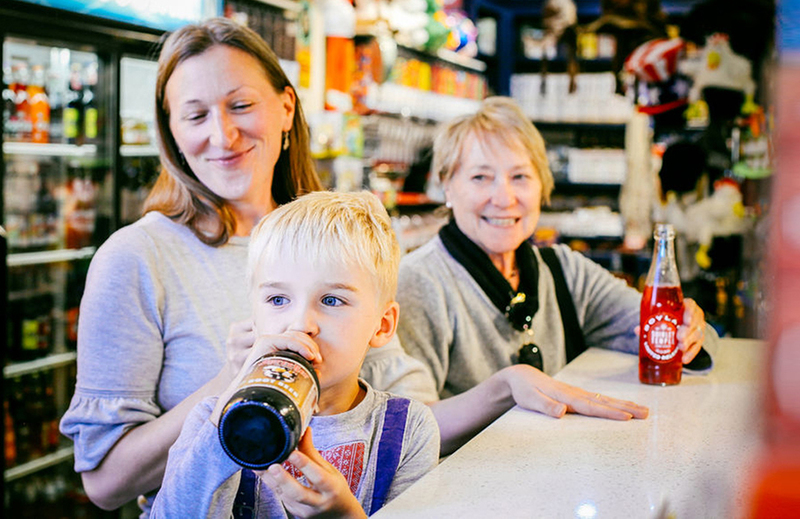 Cravin’s is a place for every family: Children, friends, parents and grandparents come together to create wonderful memories. 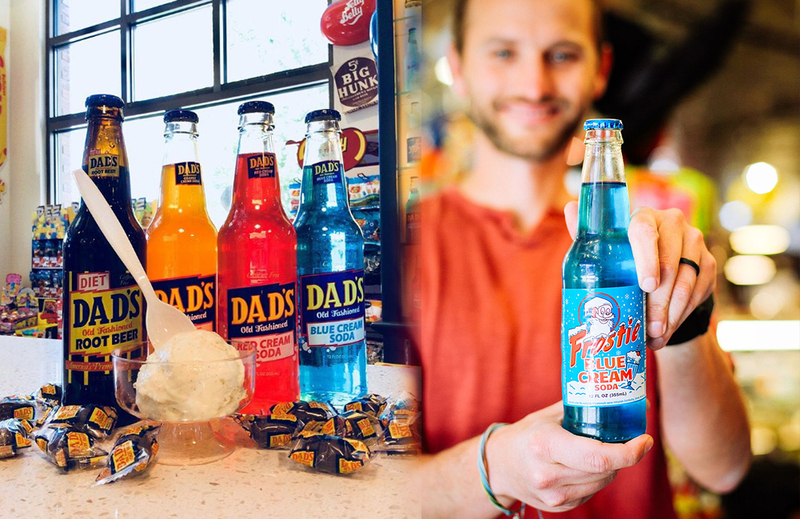 Classics from Root Beer to old school favorites, such as, Nehi, Frostie, Faygo, and Moxie. Upgrade your soda into an icy, creamy soda float. 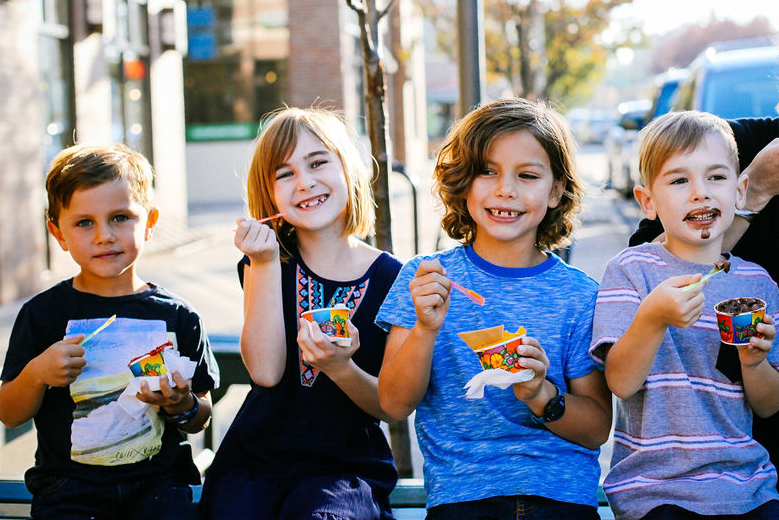 See our full menu of treats! We have the old-fashioned candy from your childhood! 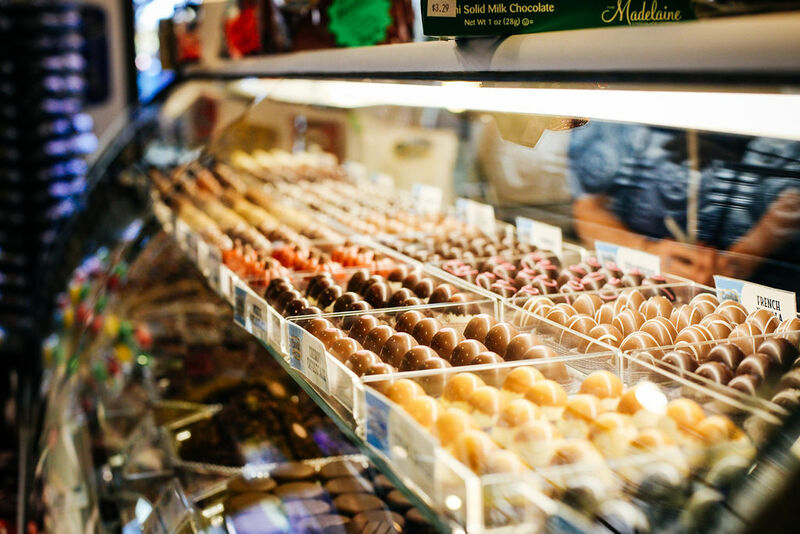 Hard-to find treats, specialty candy, and international licorice, to name a few. Kids (and grownups!) 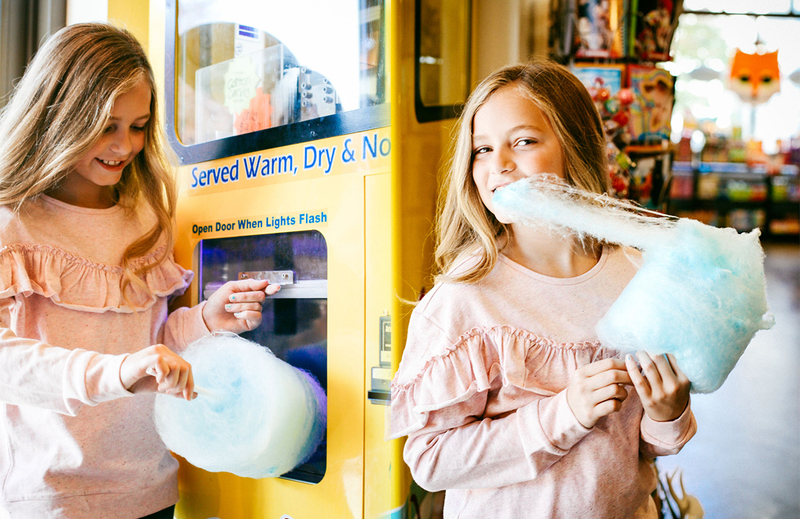 LOVE our fresh, soft and delicious cotton candy made right before their eyes with our state-of-the-art cotton candy machine. 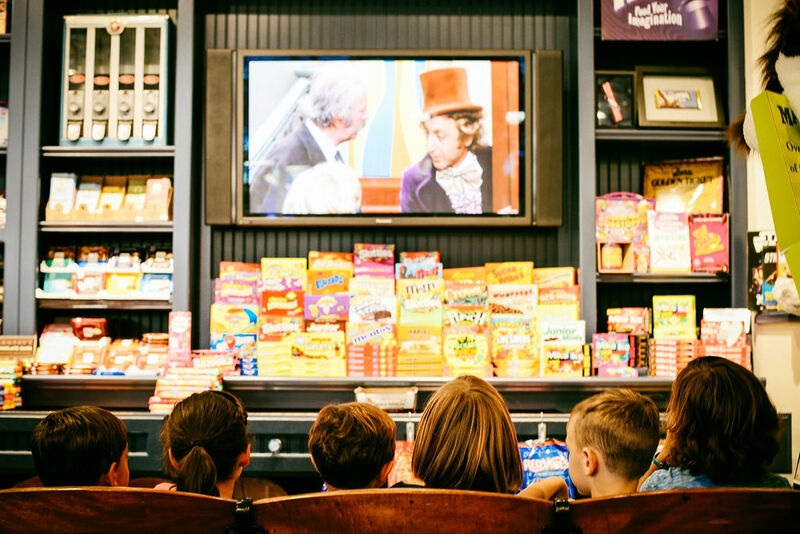 Appropriately, the chocolatey classic Willy Wonka and the Chocolate Factory is always playing on two screens. Take a seat and enjoy! Decadent and carefully crafted, our delicious chocolates make the perfect gift for any and all special occasions. Come in to see the selection. Book your Scavenger Hunt at Cravin’s! 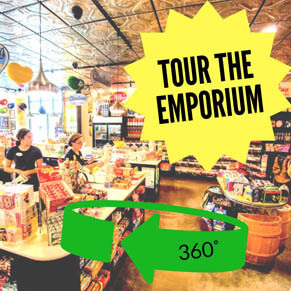 We’ve created the sweetest treasure hunt of our Candy Emporium with the best prize! 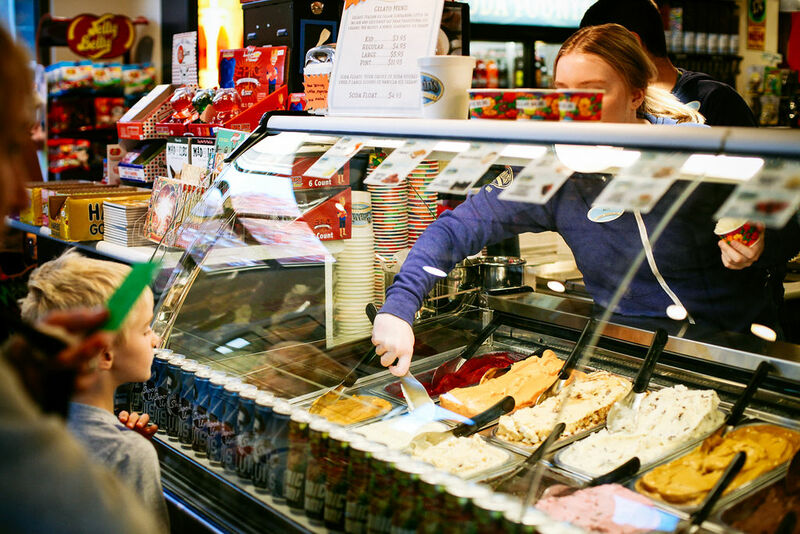 We have amazing flavors in our gelato case. 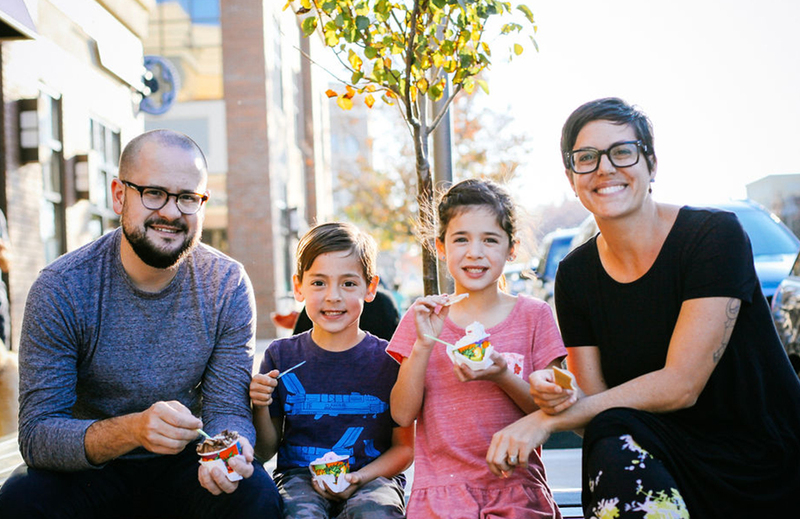 Rich and creamy gelato, as well as dairy-free sorbettos. There’s sure to be something you will love.